Main produce handmade oil painting and printed canvas prints. Have a designer team,can update designs every month. Our Factory is located in Yiwu ,Zhejiang Province - the most famous international commodity centre and the world's largest wholesale supermarket. 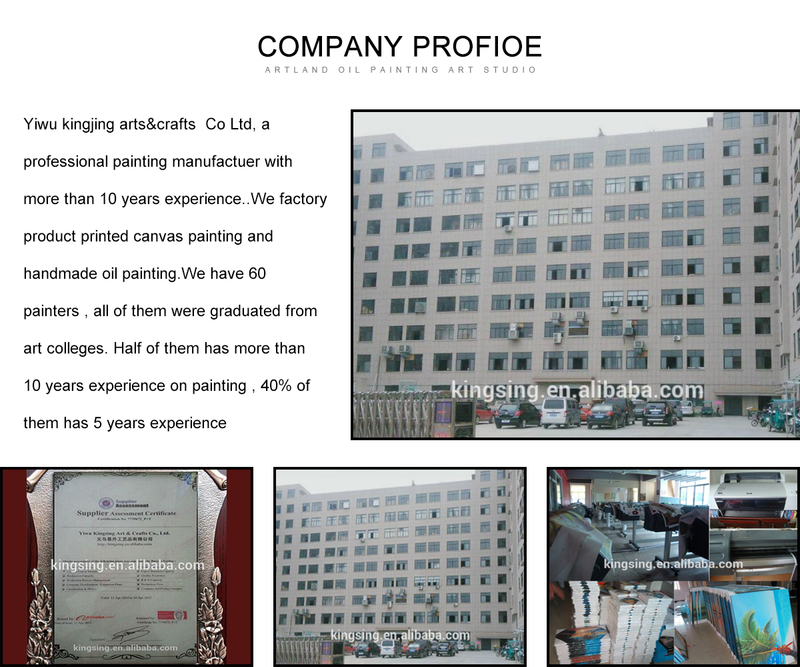 We are a comprehensive company and a professional manufacturer specializing in Painting design, planning and trading. On the basis of 8 years of fast development in manufacture, rich experience and the best trading services, our company has received a good reputation and prestige from old and new clients. We have an independent foreign trade department and 5 different projects to cooperate with direct factories. Our products, such as Oil Paintings, picture frames, Metal crafts, Resin Crafts and other kinds of home decoration items, have a wide range and much competitiveness in the world market. 80% of our items are exported to the world market. Most of our customers are come from Europe, America, Australia, Southeast Asia and the Middle East. We have talented designer teams to ensure the processing of any styles according to customers' requirements and original samples. We provide customers with supper quality, updated & fashionable new items, excellent services and competitive prices. (OEM is welcomed). Our philosophy is "quality is life, service is soul". Your satisfaction is guaranteed.